The set comprises one tea pot, one coffee pot, two cups and saucers, one milk jug, one sugar bowl, a pair of sugar tongs and a tea caddy. 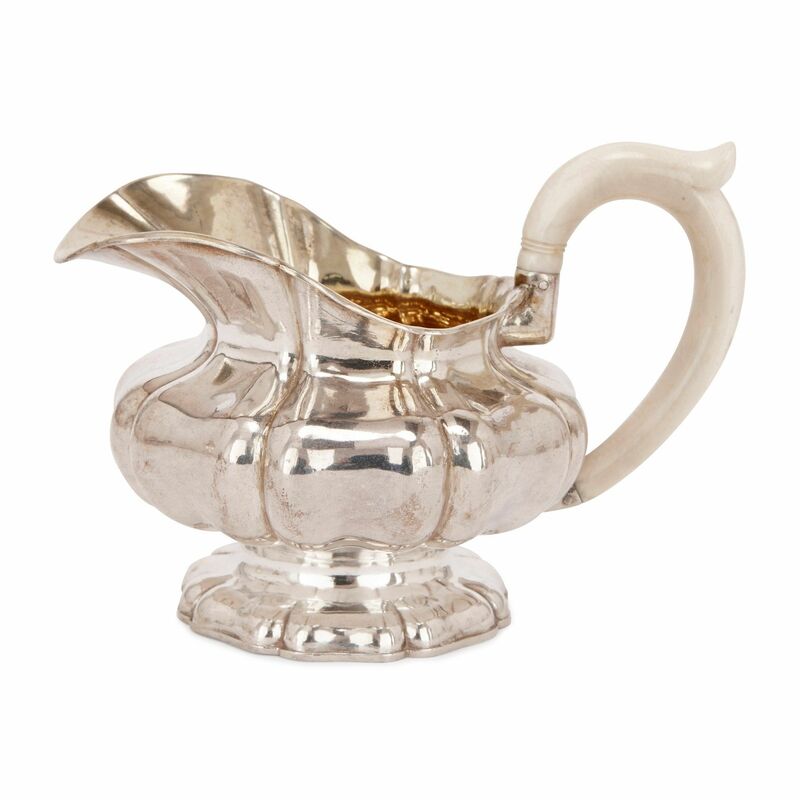 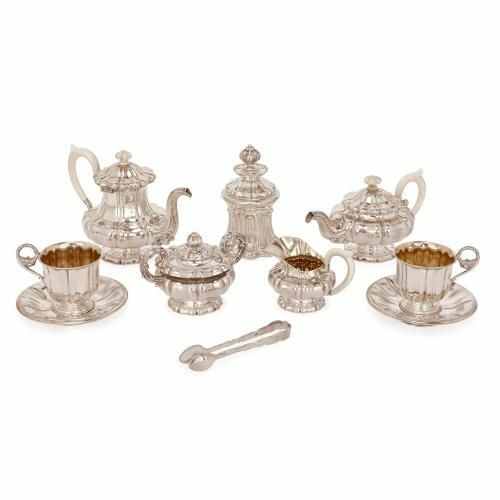 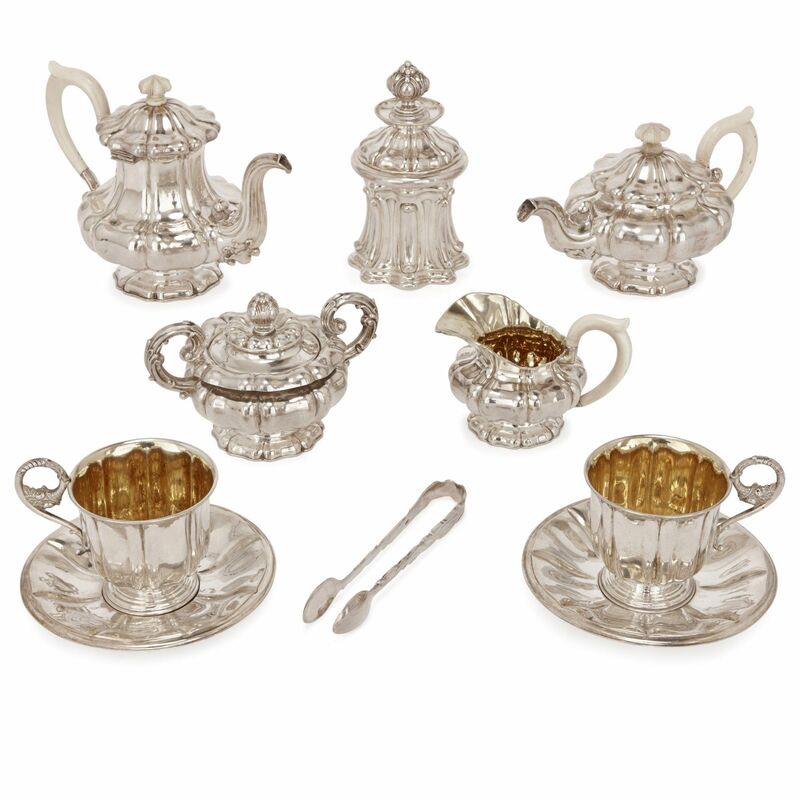 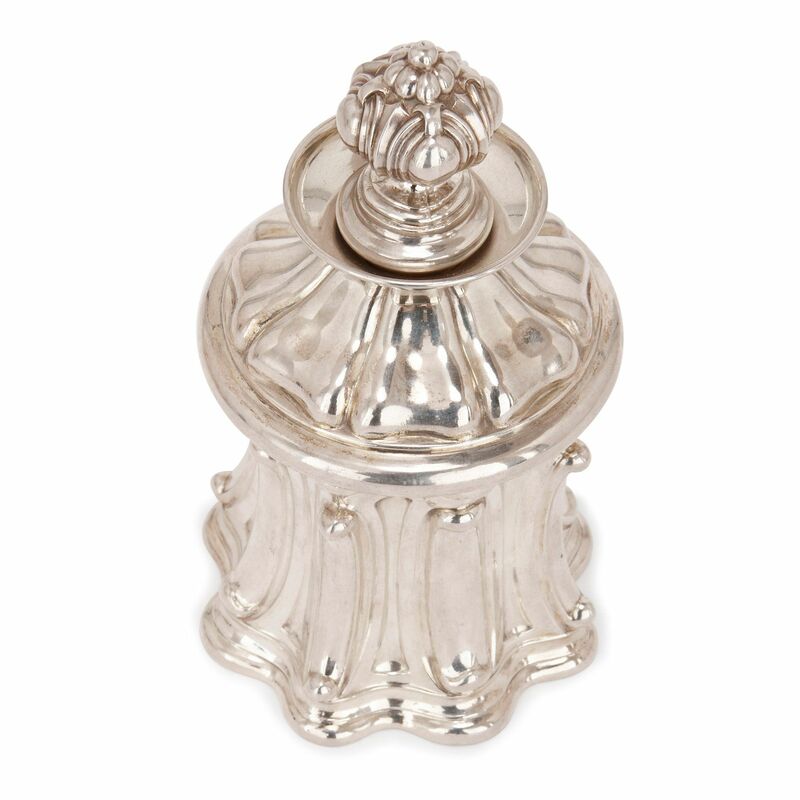 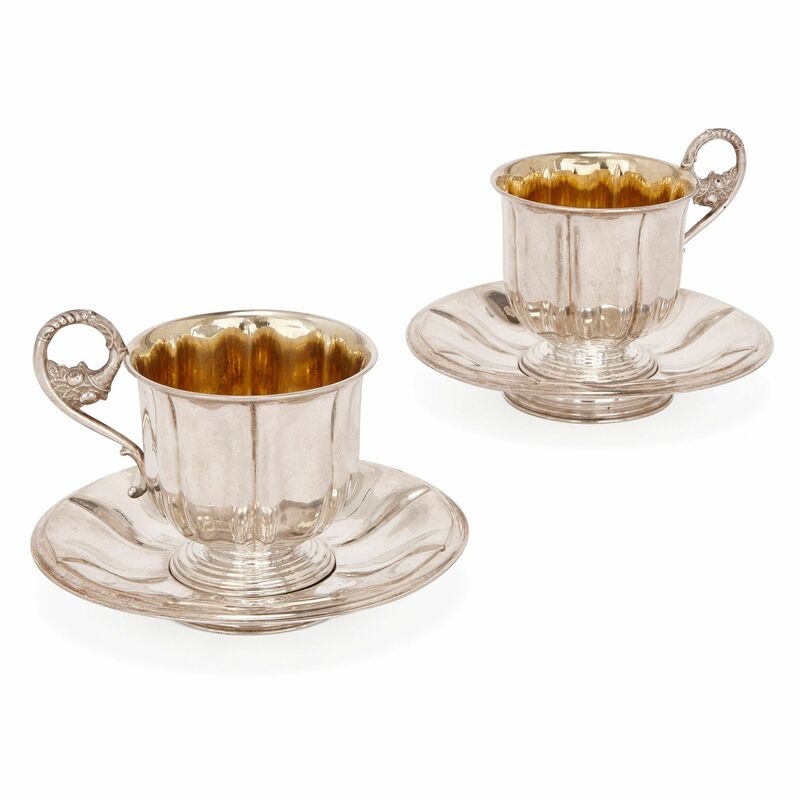 All pieces are made from solid silver with reeded bodies, and the tea pot, coffee pot and milk jug have handles made from ivory. 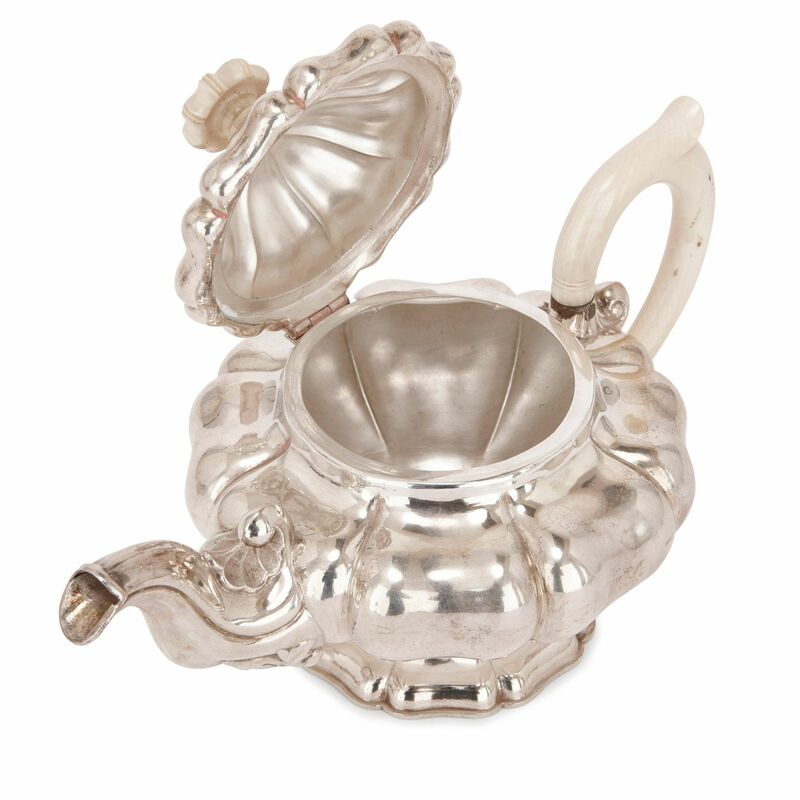 The teapot, coffee pot, tea caddy and sugar bowl all have lids with cone shaped finials, and the tea cups have scrolling, foliate handles. 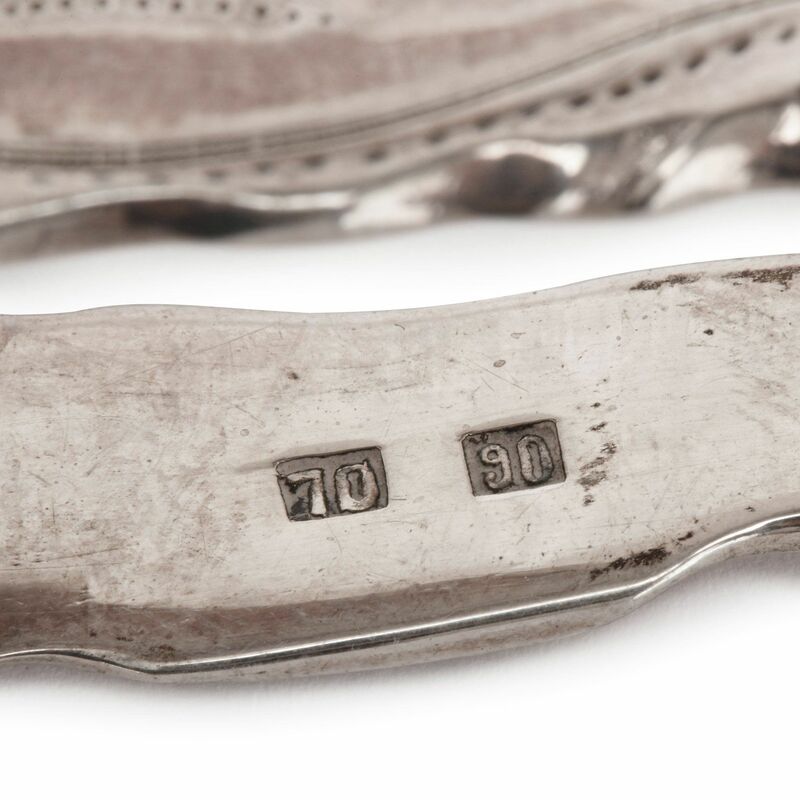 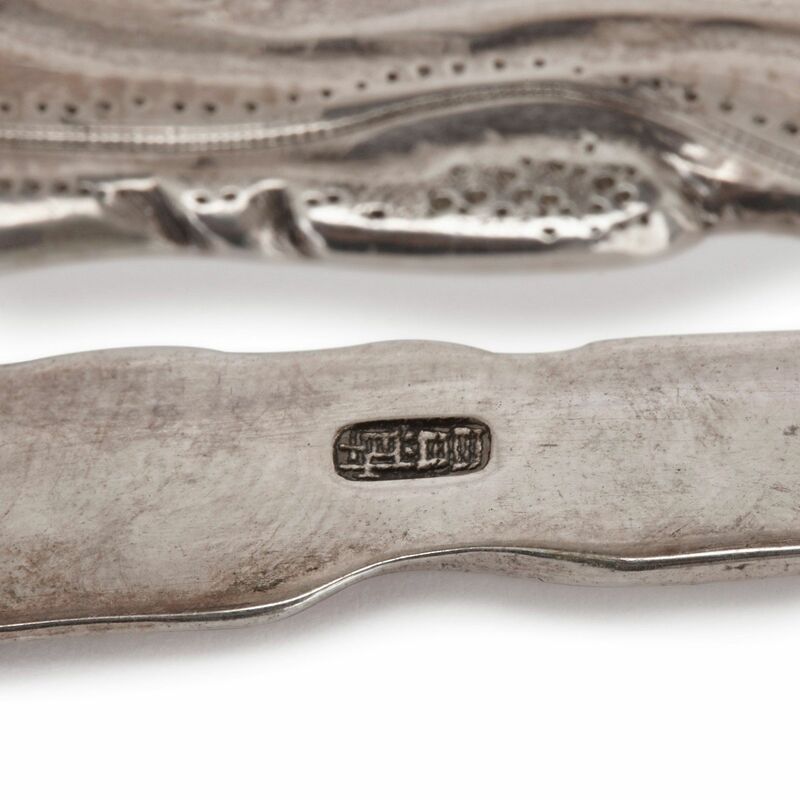 All pieces are fully hallmarked.